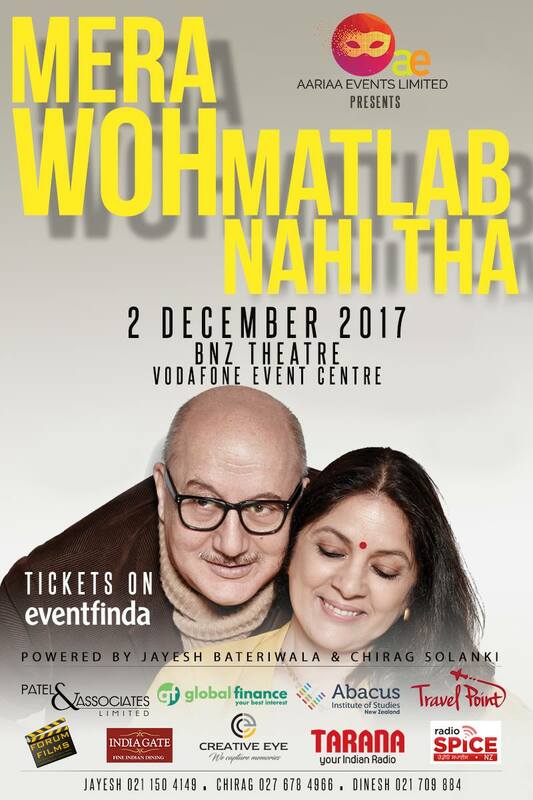 Aariaa Events proudly present Mera Woh Matlab Nahi Tha LIVE (Theatrical Play) in Auckland, starring Anupam Kher and Neena Gupta, directed and written by Rakesh Bedi. One of Bollywood's most versatile and talented actors, Anupam Kher's most-talked about play Mera Woh Matlab Nahin Tha tells the story of a man, his struggles and his love. A play not to be missed. Living legend Ustad Rahat Fateh Ali Khan returns to Auckland, New Zealand for one show only in what promises to be a stellar performance in the Tribute Tour 2017, on August 12th at Victory Convention Centre, Auckland City. In 2012, Aariaa Events expressed its passion for music through a sold out event with Ustad Rahat Fateh Ali Khan. 4 years later, remembering the legendary Ustad Nusrat Fateh Ali Khan and celebrating 48 years of his life, Rahat is paying Tribute to his mentor this year. 2017 marks the 20th year since the passing of Ustad Nusrat Fateh Ali Khan. Regarded as one of the greatest singers in the genre of Qawali, he brought Qawali to the international stage. He collaborated with, and influenced numerous musicians. His nephew, Rahat Fateh Ali Khan, is proof that his legacy continues. Rahat has captured hearts of millions worldwide and continues to mesmerize audiences with his melodious voice of Sufi music. He has had award winning hits from films such as Sultan, Dabangg, My Name is Khan, Son of Sardar and many more. Rahat lovers can look forward to a special 3 hour electrifying performance where he will capture your attention and captivate the auditorium with his greatest his and a very special, one time only, tribute to his mentor. Celebrating 48 years of life, with 48 Tribute Concerts Worldwide, Auckland, New Zealand will be privileged to witness this experience. A show that cannot be missed. Aariaa Events are the premium entertainment event organisers in Auckland, New Zealand, specialising in organising Bollywood events and Bollywood concerts in the country.